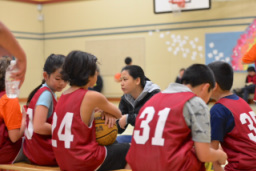 Richmond Youth Basketball League offers a Grade 4/5 Co-ed basketball league which focuses on introducing and developing skills, concepts, and strategies. Participants are placed on a team with a trained coach. Each team practices for one hour on Tuesday evenings (between 5:30-8:30pm) and plays a one hour game on Saturday mornings (between 9am and 1:30pm). This league is a great way for children to develop transferable skills and concepts in practice environments, along with the opportunity to apply these skills and strategies in game environments. This league takes place at local community centre and school gyms throughout Richmond. Locations will be confirmed on team forming day.